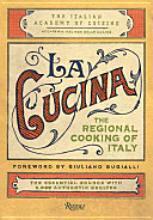 Another recipe from La Cucina The Regional Cooking of Italy. Well this is my take on the recipe. The original recipe called for Lard and Lardo and Raisins and Pine Nuts. I don't use Lard. I have never seen Lardo in a store and I don't remember anyone in my mom's family adding raisins when they made braciola, not to say it may not be delicious. And pine nuts are out of my price range! Ah but of course I have Prosciutto! I heated the olive oil in a pan and added chopped onion and cooked until golden. Added tomato paste, then stirred in the wine. Added a little water to make a thin sauce. For the meat I put a piece of Prosciutto on top of the slice of meat and sprinkled each piece with parsley, salt and pepper and scamorza cheese (I had that left over from last night's dinner). I added the bundles to the sauce and reduced the heat to low and cooked for 1 1/2 hours. I removed the meat and let the sauce continue to cook. Now all that happened yesterday. Yes I do my cooking on Sundays. So tonight Chris heated up the sauce and then added the meat to the pan for about 10 minutes. We served the meat and sauce with rice. Not bad for a Monday! And another post of Cookbook Sunday! La quinoa me encanta la uso bastante es una delicia su plato luce increíble,abrazos hugs,hugs. Yum, this sounds positively delicious. I love that you were able to adapt the recipe to suit the ingredients you had on hand and that fitted your budget. Also love that you were able to prepare this in advance and have a "ready-made" dinner for a Monday night. Thanks so much for sharing this at Cookbook Sundays.